Ah. The twists and turns inside the Beltway. 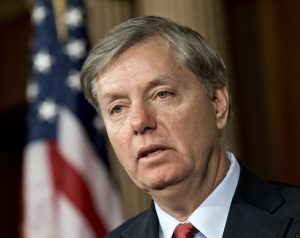 Senate Judiciary Chairman Lindsey Graham told CNN on Monday that once Sen. John McCain was given the controversial Steele dossier, he encouraged McCain to forward it to the FBI, Axios reports. Those remarks come in wake of President Donald Trump’s disparaging remarks about McCain and the dossier. Trump erroneously tweeted that McCain gave the report to the FBI during the campaign to try and sink him. The report was given in December, after the election. Posted: 3/26/19 at 10:00 AM under News Story.